Jerin Arifa is a formerly undocumented activist who is changing millions of lives. Jerin spearheaded the sexual harassment, assault, domestic violence and anti-stalking policy for the third largest university in the U.S. — while undocumented! Now, as a proud American citizen, Jerin shares her story of overcoming obstacles to inspire others to be more inclusive and transcend barriers in their own lives. 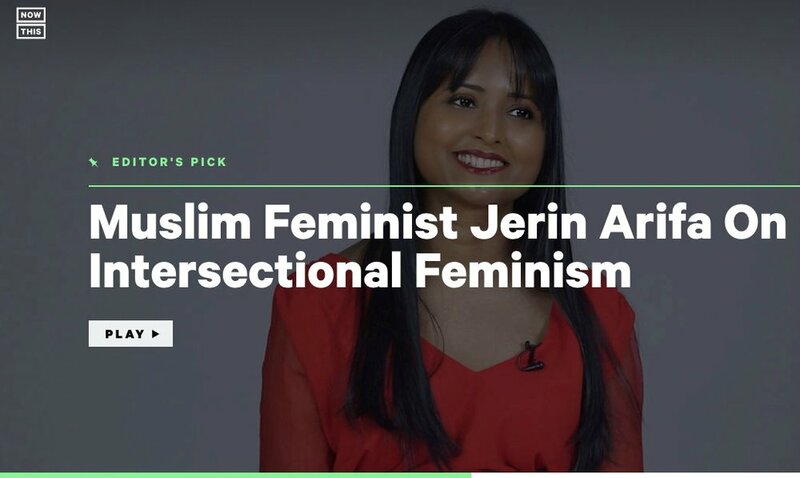 Just as Jerin didn’t allow being undocumented, poor and a Muslim feminist to prevent her from creating large-scale change, she wants every person to find success despite their own challenges. A captivating speaker, Jerin’s NowThis video on intersectionality has gone viral with over 1,000,000 views, showing people how to be more inclusive in simple, actionable steps. She has inspired countless individuals in the corporate and nonprofit sectors through: keynote speeches, presentations and trainings on a wide range of topics. A movement builder, Jerin trains activists across the U.S. as the Founder of the National Organization for Women’s (NOW) inaugural virtual chapter, Young Feminists and Allies. She leverages her background in corporate and nonprofit communications strategies, along with expertise in women’s rights, to inspire leaders to create change in their own communities. Skilled at coalition-building, she engineers safe spaces for marginalized groups, such as sold-out events for LGBTQAI+ Muslims. A multi-talented leader, Jerin’s award-winning work ranges from cutting-edge cancer research to community organizing. President Obama’s White House selected her out of 10,000 nominees to attend the historic United State of Women Summit. Jerin’s work has appeared in diverse outlets from The Washington Post to Cosmopolitan Magazine, and she presents regularly to local, national and international audiences.